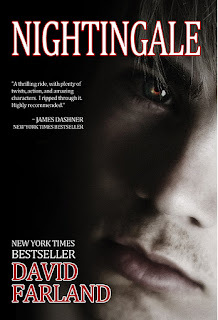 Today I am re-posting my review of David Farland's suspenseful Nightingale as part of a book tour. I highly recommend it. Go get yourself a copy here. Be sure and visit the other stops on the tour. Bayley is such a real character in this book that I wouldn't be surprised to bump into her on campus. She is spunky, loveable, and perfectly flawed. Her romance with Matt is sweet and riddled with uncertainty and insecurities--just right. My hometown is the setting for part of this book, and my little sister is a tomboyish soccer player there. It's fun for me to read about Star Valley in the book. The romance is balanced just right with Bayley's trials with alopecia. 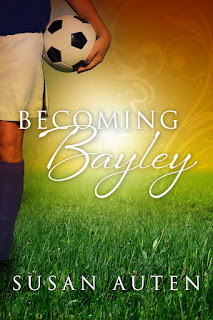 Bayley deals with her feelings of self-worth and her changing reflection with believable human emotions. I love the spin off thread of Bayley's brother Chase, and her friend India. It made me smile. The book is set at Brigham Young University and her boyfriend serves an LDS mission, however, Becoming Bayley is a book for young adults of all religious faiths. Becoming Bayley is a book for anyone who has dared to dream--and won, despite the obstacles thrown in their way. 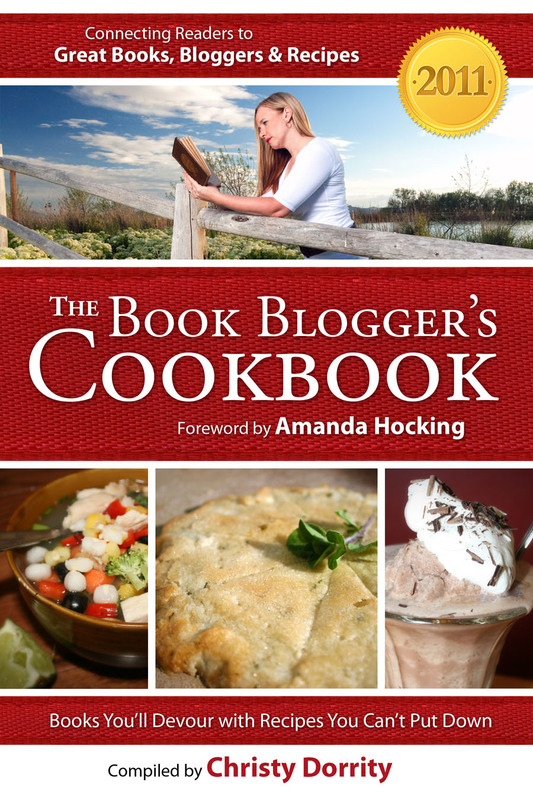 Amazon has price matched The 2011 Book Blogger's Cookbook and now it is officially free! 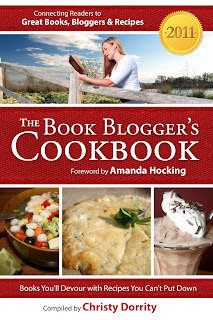 Please grab yourself a copy, and if you like it, don't forget to sample The 2012 Book Blogger's Cookbook as well. If someone told Jillian Parish moving on is easy, she would argue that it depends on what someone is leaving behind, and how much chocolate is available. Jill has worked hard to build up a life far different than the one scarred by her mother's alcohol abuse. She works at a busy publishing house, is writing the novel of a lifetime, and goes home alone every day to a little dog, a spotless apartment, and a piece of 70% cacao and sugar. But in one day, Jill’s phone is stolen, she is tackled by a childhood love who has no idea who she is, and finds her long-lost sister on her front doorstep. In two days, Jill’s carefully controlled world is turned upside-down. In three days, she wonders if chocolate will ever be enough again. When Scott Gentry moves to the city of Portland, Oregon and spots Jillian at church, he learns her reputation as a lost cause. But something compels him to get Sister Parish's attention, no matter how difficult that may prove. As Scott stumbles, crashes, and falls into Jill's guarded world, he finds himself with more attention than he bargained for, and more willing to do anything he can for the woman who is not made of stone, but of strength. Grace brings Jill and Scott together, but can grace erase the past, or save the abandoned hearts left in its wake? ~Published January 2012 by Covenant Communications, Inc. I can't resist stories about book lovers and writers, and I could relate to Jill's desire to publish a book--oh and her love of chocolate. Of Grace and Chocolate has such a fun beginning. You will be hooked, I promise. 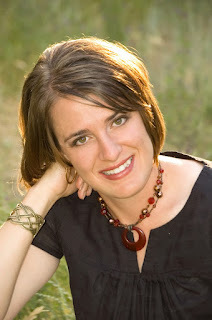 I've met Krista Lynn Jensen a few times, and she is as sweet as her book sounds. All of the characters are very real. Jill, with her sister's problems, and her mother's substance abuse; Scott, whose father's accident left him a vegetable; and even little Shiloh, who began life in an uncertain place. The romance and action are balanced. The tension between Scott and Jill is playful and interesting and I wanted them to get together. I was intrigued that they had a past. The backstory of their past was descriptive and lurred me in. I long to visit Costa Rica now! I loved how many of the characters have their own personal burdens that they have to come to terms with, and how each of them helped Jill reconcile her own demons. My only complaint is that the beginning of the book doesn't seem to match the rest of the story. 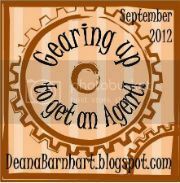 The beginning feels like chick lit, and the rest is more of a romantic suspense. Save this book for a time when you can tuck it away with you, like you would a piece of fine, dark, Dove chocolate. 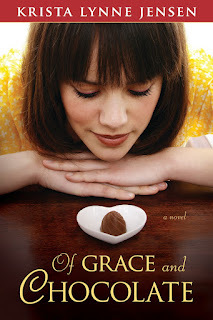 Jill, in Of Grace and Chocolate, by Krista Lynn Jensen, likes things a certain way. She loves chocolate and I dare say that she would choose the chocolate lover's brownie. But when Scott enters her life and stirs up a past she's tried to forget, her life becomes anything but predictable. This recipe for brownies is chocolatey enough to satisfy any chocoholic, with a hint of something else, something that might spice up your life, just like Jill. Preheat the oven to 350'. Spray a 9x13 inch pan with cooking spray. Heat the chocolate and butter in a saucepan over medium-low heat, stirring until melted. Remove from heat and stir in the sugars until smooth. Combine flour, cocoa powder, baking powder, chili powder, cinnamon, cayenne pepper, and salt. Whisk the eggs, one at a time into the chocolate mixture. 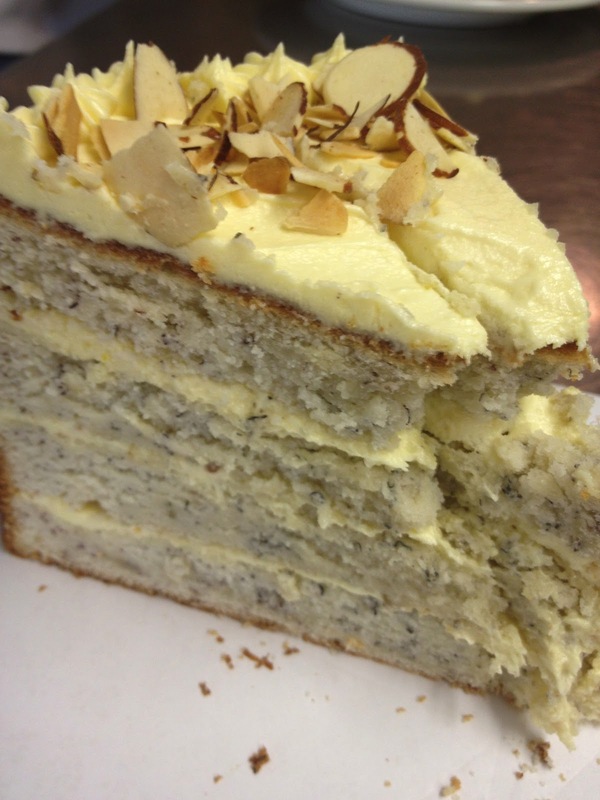 Add the dry ingredients, mixing until combined. Pour the brownie batter into the pan and bake for 25 minutes. Serve warm with a scoop of ice cream, or drizzle with caramel or chocolate sauce (try the sauce for "I Hate Chocolate Cake" in The 2011 Book Blogger's Cookbook). 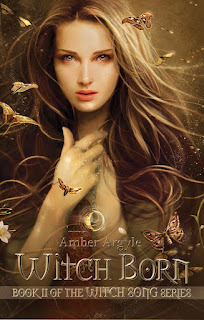 I'm tickled to death to tell you that Amber Argyle has a sequel to her lovely Witch Song book coming out today! She is a good friend of mine, not to mention an exceptional writer. See my interview with Amber below. You can read my review of Witch Song here. To purchase Witch Born today, click here. 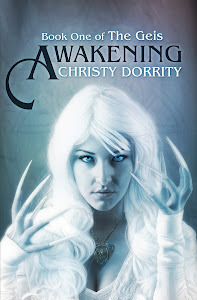 Christy: How did writing a sequel differ from writing the first book in your series? Amber: Holy crap it was hard. I've written 8 books, but most were the first in a series, so a continuation was fairly new territory for me. Plus there's all this pressure for the second book to be better than the first book. The first book was out, so I couldn't change anything to make things fit. I had to figure out how to work with what I already had. I think I nailed it though. Christy: You had such vivid cultures, lyrical songs, and even some great foods in Witch Song. Will readers be treated to such goodies in Witch Born? Mistin pointed out the best of the greens—one mixed with a dried sour-sweet berry, candied nuts, and a sunset pink dressing that tasted of onions and wine vinegar. Mistin piled their plates high with some kind of meat drenched in a sticky sauce with more dried berries and nuts. Senna glanced at the numerous faces around the room. She caught snatches of conversations, everything from intercity trade to orders for weapons, while they ate food Senna had come to consider Witch staples—greens and herbs, berries and nuts, growing things that were easy for Witch song to create. “Lamb with dried bitterberries,” Mistin whispered. Wait? What happened to Joshen? I'll leave you with that line as an ending. Mean aren't I??? Is Brusenna based at all on your own strengths and/or weaknesses? Amber: I wrote some things in the book in hopes of helping young girls going through what I went through. I was bullied and struggled with self esteem issues (both of which plague Brusenna). I wanted girls to find someone they could relate to. Someone they could see strand tall and learn to fight for herself, to believe in herself, to love herself. Christy: What do you eat while you are reading/writing? Amber: I usually have to have a chocolate break in the middle of my writing, though I'm trying to be more healthy and grab a piece of fruit. Though sometimes a spoonful of nutella is just too tempting. Christy: Is there a Witch Song 3? Are you working on other projects that you can share with us? 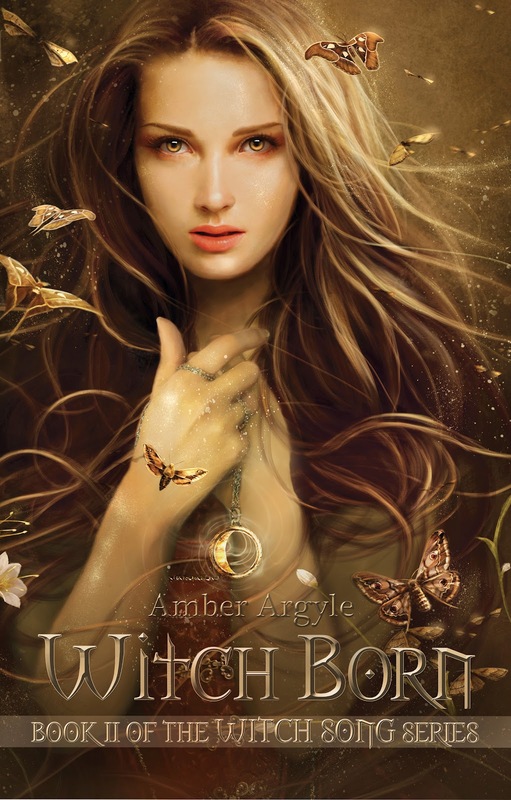 Amber: I'm writing a short prequel, Witch War, that involves a minor character present in both books. I've already started it and it's awesome!